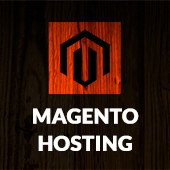 Today we have released new version of Magento Revolution Slider Extension. 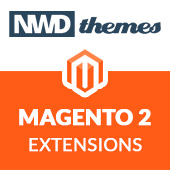 Fresh 5.4.5.2 versions of both Magento Slider and Magento 2 Slider are available to grab at CodeCanyon already. This update adds new Add-Ons and fixes known issues from previous version as well as improves performance and stability of app. So let’s unbox this update. Create comparison slides to demonstrate before and after images of your works or improvements in your life. It allows to manually scroll both versions and position items comparison draggable line vertically or horizontally. With this Add-On you can show 360 panorama views of streets, apartments and nature. User can customize panorama angle and zoom and navigate using mouse drag and drop. Must have one of real estate or booking e-commerce websites. With this Add-On you can show location based weather info to your visitors in nice and clean way. You may find this one useful for travel agencies or outdoor events websites. Also this upgrade eliminates couple of issues raised in previous release, updated Google Fonts list and improved loading of template slider images from remote server. * Moved static styles to head on front end. News, Slider Revolution, Uncategorized news, slider revolution. permalink. Looks like your weather demo has some errors to it. Thanks for the report. It is fixed and working!